Posted byJoelRieves June 24, 2016 Posted inChristian culture, Christianity, cognitive dissonance, conservative, conservatives, Culture Wars, evangelical, evangelicalism, Fundamentalism, Fundamentalists, LGBTQ, Religion, violenceTags: Christianity, Democrats, fundamentalism, guns, Islam, LGBTQ, Louie Gohmert, Orlando, Pulse, radical, RepublicansLeave a comment on Radical Islam? How About Radical Christianity? 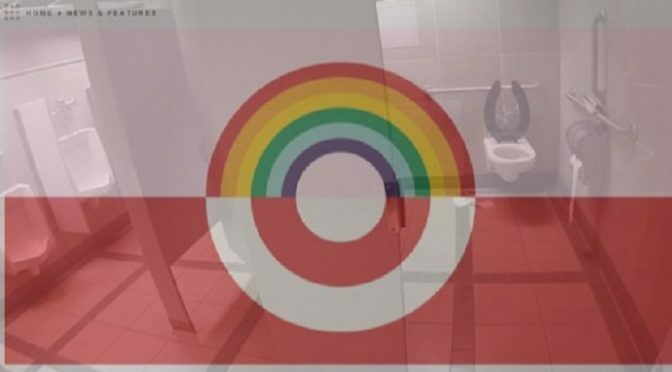 Posted byJoelRieves May 27, 2016 Posted inbigotry, Christian culture, conservative, conservatives, Culture Wars, evangelicalism, Fundamentalism, Fundamentalists, Gender identity, HB 2, Jesus, justice, Social Justice, transgenderTags: #BoycottTarget, American Family Associaiton, bathroom predator, Don't Target Our Daughters Day, Faith2Action, HB 2, transgender2 Comments on “Targeting” Our Daughters?